Alastair has been creating gardens and landscapes for nearly 20 years and running his own business for 15. Though born in Tasmania, he studied his craft at Easton College in Norfolk, England and gained valuable experience with large landscaping firms and stonemasons while living there. Alastair's passion is working with natural materials and in particular, stone. 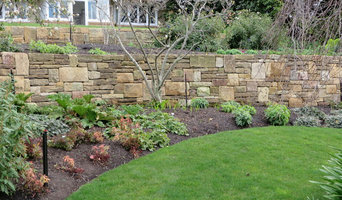 While stone structures, feature walls and retaining walls are featured widely in his portfolio, Alastair's diverse skills cover the many facets of general landscaping. These include paving, planting, steel edging, turfing, decks, pergolas, rendered block walls, garden demolition and fencing. Alastair and his team have completed works ranging from small gardens to project managing large scale landscape construction. Huon Diggers Mini Excavations Excavator Hire services the most Southern part of Tasmania Hobart surroundings, Huon Valley Huon and Channel region. Huon Diggers uses a 1.6 T Hyundai Excavator Ideal for tight access, although great in open spaces too. These smaller and popular excavators machines are tough and quick and efficient. If you require some landscaping retainer walls, driveways cuttings and extensions,vegetation clearing,pebbles spreading compacting driveways road base. Our machine is fitted with a variety of attachments and buckets such as claw or thumb to lift large heavy items such as rocks, stumps and lifting building material. Our Hyunday Robex 16-9 Excavator is plumbed for an auger with 200,300 and 450 mm for house footings,fences,verandas post holes etc. Huon Diggers is an ideal candidate assisting in home improvements, landscaping renovations vegetation clearings, house garage and sheds cuttings. What can a Hobart, Tasmania landscape contractor or gardener do? 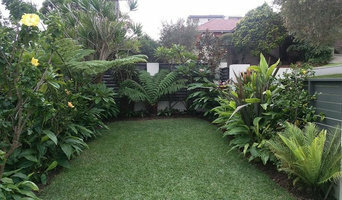 Find landscape solutions and Hobart, Tasmania gardening services on Houzz. Scroll through this page to find professionals that offer landscaping and gardening services in your area. You can browse their latest projects, read reviews and see how other homeowners rate their work, and message them directly.